Hello & happy Thursday to you! I have a quick thank you card to share with you today. I have to admit, it took me several years to break down and buy this stamp set French Foliage. I love fall and anything to do with fall so I’m surprised it took me so long! I finally purchased it last month and I love it! 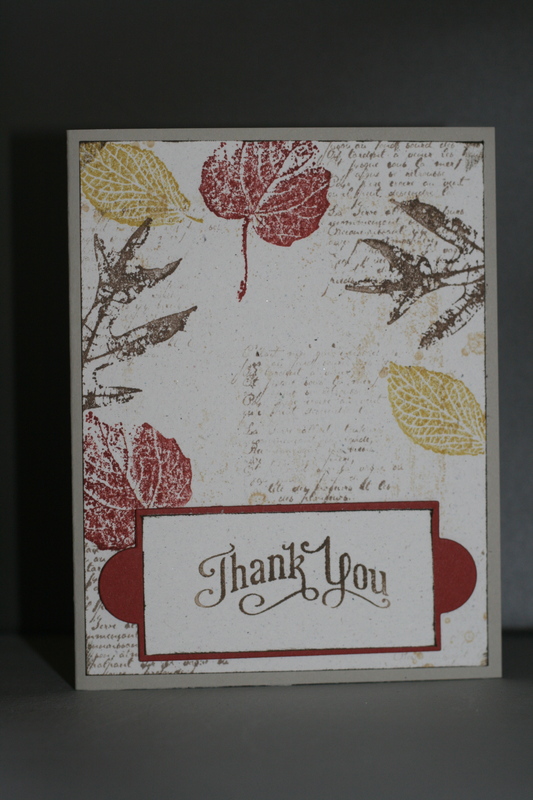 I needed a few Thank You cards and other occasion cards, so I broke my stamp set in right away and made this card. I used Crumb Cake card stock for my base and stamped my images on a layer of Naturals White card stock. 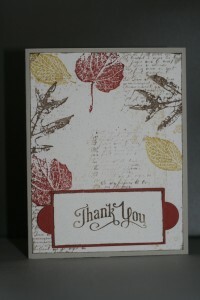 I used the new Apothecary Accent Framelits for the Thank You in Cajun Craze. I know the recipient of this will card enjoy it as much as I do.